Goldstein Therapy is pleased to offer clinical, neuropsychological, and forensic evaluations by Dr. Erik Dranoff. Dr. Dranoff offers a full range of testing and evaluation services for children, adolescents, and adults. We know this can be a stressful process so let us take the pain out of it for you. Whether you’re looking for clarity about whether your child has a learning disability and/or needs an IEP assessment; trying to tease apart a complicated mental health issue in yourself, a family member, or a patient; or are wondering if your child is experiencing any adverse effects from family conflict, Dr. Dranoff can help! Dr. Erik Dranoff is a licensed psychologist in New York (License Number: 021093-1) and New Jersey (License Number: 35SI00547000) and an Adjunct Professor in the Department of Psychology at William Patterson University. Dr. Dranoff is a graduate of the Ph.D. Program in Clinical Psychology at Fairleigh Dickinson University and completed his Pre-Doctoral Internship at Woodhull Medical and Mental Health Center in Brooklyn, New York. After Dr. Dranoff earned his doctorate, he completed the postdoctoral fellowship at the Northern Regional Diagnostic Center for Child Abuse and Neglect within Hackensack Medical Center (i.e. Audrey Hepburn Children’s House) where he obtained specialized training in the area of forensic mental health assessment. Dr. Dranoff’s private practice is primarily focused in conducting clinical evaluations, pediatric neuropsychological evaluations, and forensic evaluations for children, adolescents, adults, and families. 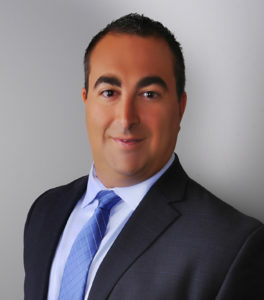 Dr. Dranoff’s clinical and neuropsychological evaluations are referred for the purpose of differential diagnosis and treatment planning, which typically involves serving as a consultant for psychiatrists and other mental health clinicians to provide clarity about the reasons a patient has shown limited progress in treatment. His explanations of the findings in verbal feedback sessions and in the written reports are designed to be useful to the patients and their families as well as the mental health professionals who are providing the treatment. Dr. Dranoff’s forensic practice is broad in scope and involves conducting a wide range of evaluations in criminal, civil, and family court proceedings. Although Dr. Dranoff conducts criminal responsibility and competency evaluations in criminal cases and personal injury, guardianship, and immigration hardship evaluations in civil cases, the majority of his cases are referred from family court. Dr. Dranoff is one of the forensic evaluators for the Division of Child Protection and Permanency (DCP&P) where he conducts psychosocial evaluations of children and adolescents to obtain information about the extent that physical, sexual, or emotional abuse has contributed to their mental health, and parenting capacity evaluations to determine if an adult is able to provide a safe and stable environment for their child. Complementing his work in child protection, Dr. Dranoff regularly conducts court-appointed psychological evaluations, visitation risk assessments, and child custody evaluations to assist attorneys and judges in their decision-making process. Complementing his clinical and forensic practice, Dr. Dranoff is committed to serving his professional community through teaching and mentoring future psychologists and devoting time to educating attorneys about mental health. To this end, Dr. Dranoff presents at New Jersey’s Institute of Continuing Legal Education (NJICLE) and teaches a wide range of classes at Montclair State University.